Conveniently located in the shopping precinct of Amaroo you will find this spacious 1 bedroom apartment with a large study/rumpus upstairs. 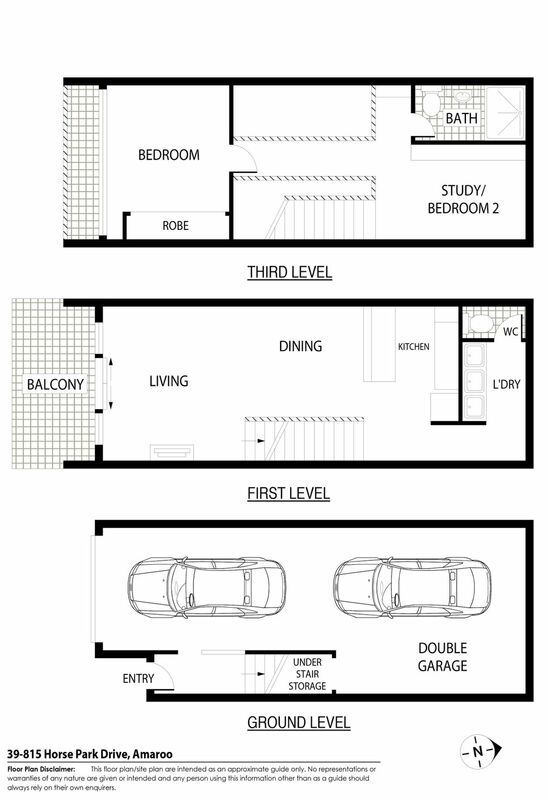 On the bottom level you will find the large entry and a tandem 2 car garage with additional storage area or workshop. On the middle level you will find a large open plan living area that open onto the covered balcony with mountain views. The full sized entertainers kitchen over looks the living area and offers excellent storage and stone benches. On this level you will also find a powder room and laundry. The top level is where you will find the open study/rumpus room, main bathroom and large main bedroom with views.